1 What is Braided Fishing Line? 1.1 How Many Strands Should My Braided Line Be? 3 How to Care For Your Braided Fishing Line? 5.1 What is the Best Braided Line Test? Until recently, the braided line was foreign to me. When fishing on a boat it’s nice to have high viz line so you can easily tell if lines are going to cross or tangle. Then again, surf fishing for croaker and perch on the mean shores of Southern California doesn’t take an insane line to bring in. But as I started getting better at surf fishing and even jumping on my buddy’s boat, it was clear, the braided line has some serious advantages over mono. Braid will never be as cheap as mono based on how intense the manufacturing process is, however, in recent years it’s come down significantly in cost. Buy in bulk from Amazon. If you get 1500 yards, you’ll save a bunch of money in the long run since braid is robust and can be stored for a long time. You can back load or front load your spool with a certain amount of braid and use mono to fill it up. This is a common practice that gives the benefits of both types of line in one reel. Let’s dive into the workings of the braided fishing line so you can ask your local shop what to do with more confidence, or better yet, buy some and load up your spool at home! What is Braided Fishing Line? A braided fishing line is made from high molecular weight polyethylene, the same synthetic that’s made from milk jugs and bulletproof vests. 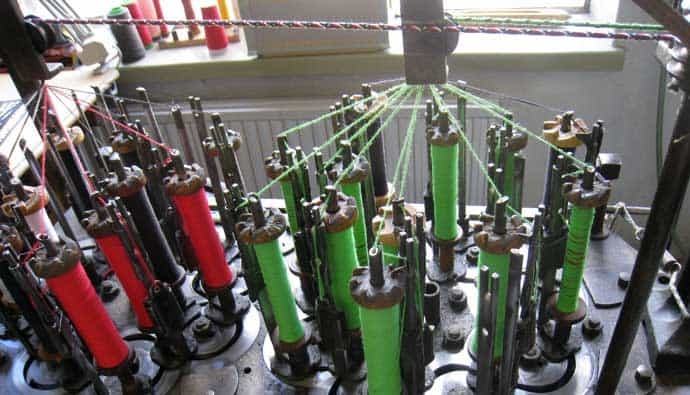 To make the braid that goes on your spool, many micro-fibers are braided together into a tight cord. There is a maypole braiding machine that takes the many fibers and keeps them at an even tension as it’s braided together quickly. While the braided line is being produced, a worker takes hot water and mixes in the dye. A pump at the bottom keeps the water moving to evenly distribute the dye. They then heat and pressurize the dye into spools of fishing line to make a nice even color. Sometimes the braided line is then run through a silicon resin, which makes it abrasion resistant. It will be less likely to break when dragged against a rough surface like a rock. It’s then run through an oven to cure the resin. The line is run through an abrasive eyelet which removes line contaminants and makes the line smooth. Finally, the finished line is then packaged on various length spools, packaged, and shipped to places where you can buy it. No wonder it’s a tad pricey. It’s worth it though! Here’s a type of braiding machine that would be used when making braided line. How Many Strands Should My Braided Line Be? As we mentioned earlier, braided line is made from High Molecular Polyethylene Fibers (HMPE). These are formed from tiny polyethylene microfilaments that make a carrier, which is combined to make the braided line. These lines come in different carrier sizes like four, eight, or nine. This is the number of carrier lines that are braided together to make the different types of braided line. Four strand is generally more rigid than 8/9 carrier braided line. This means when you run your fingers over the line it feels like a saw (many dips and valleys). This type of line is great for fishing around thick vegetation as you’re able to saw your line out of things like kelp with ease. 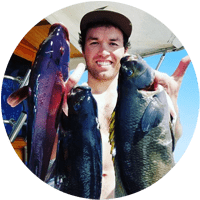 Four strand has better abrasion resistance than higher carrier braid and tends to dig less into your spool when a fish pulls tight on your spinning surf reel. As with any braided line, it will dig in more than mono so make sure you clear the line by pulling it a bit. This strand braided line is great for grassy areas and places where you only need a smooth line. A smoother line tends to be quieter when you cast and smoother when you retrieve. You won’t hear the sawing sound over your guides. This will increase the longevity of your guides as well. Have fewer hills and valleys on the line will cut down on the friction it takes to reel in. Some angler says that a higher braid line is more sensitive in the water, which is ideal for surf fishing. The lower friction also helps with casting further so if you need to get a bit more distance, go for this line. If you’re going to be fishing in area with many obstacles like wood or thick vegetation, go with the lower count braided line. If you want to cast further, have a bit more finesse in the line, have increased sensitivity to feel exactly when the fish bites, then go with a higher count braid. In order to spool braid on a reel, it helps to back your spool with mono to help prevent any slippage from the braid when you’re fighting a bigger fish. You can also use electrical or nylon tape, whatever helps add friction to the braid at the base. Backing with mono also helps you spend less money on the expensive braid since mono is usually cheaper. Since you’ll only be using around half your spool at any time, there isn’t a need to have you whole reel braid. Always start with an open bail before you tie your mono knot on your spool. Use a double overhand knot and fasten it tightly on the spool. Flip the bail and start reeling at least mono through the guide to cover the entire spool. Go for at least one or two layers. Use your fingers to keep the line tight as you start spinning the reel. After you cover the spool adequate, it’s time to cut the mono and tie on the braided line. You can use a wide variety of knots from a Yucatan knot, double uni, Palomor, or whatever knot you’re comfortable with. You want a low profile knot so it doesn’t cause trouble on your spool. Remember to keep your spool of braid or mono on the table unraveling counterclockwise with the label up. The reel should spin clockwise and your spool should unravel counterclockwise. Since braid is bumpy, use your rag to pull the line tight when you reel in to fill your spool. Try to fill up your reel as close to the edge as possible with braided line to help improve your casting distance. However, if you go too far you’ll get wind knots and those are annoying. Try to stay ⅛ to 1/16 from the edge. PRO TIP: On your first time using your newly braided reel, go on a boat and let the line drag out while the boat is moving about 100-200 feet to get any weird line twists out. Then just reel it in and attach your lure or bait and you should be good to go. How to Care For Your Braided Fishing Line? The rule of thumb is the more big fish you catch the quicker you’re going to need to change out your line. It depends on how hard you pull on the line and how long you’ve had the line. 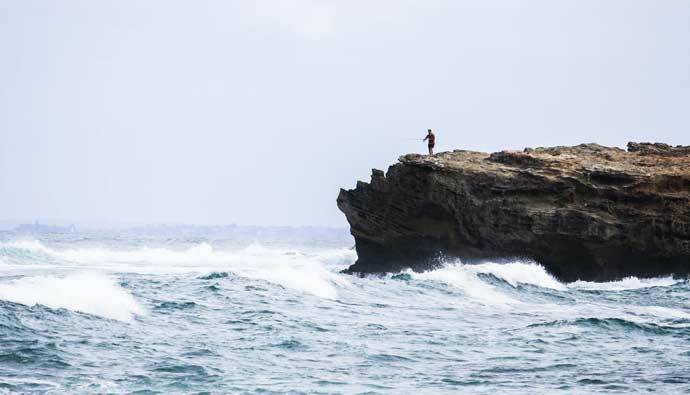 If you’re a competition angler you’ll probably switch out your line at the end of each day. There’s no point risking losing a winning fish. 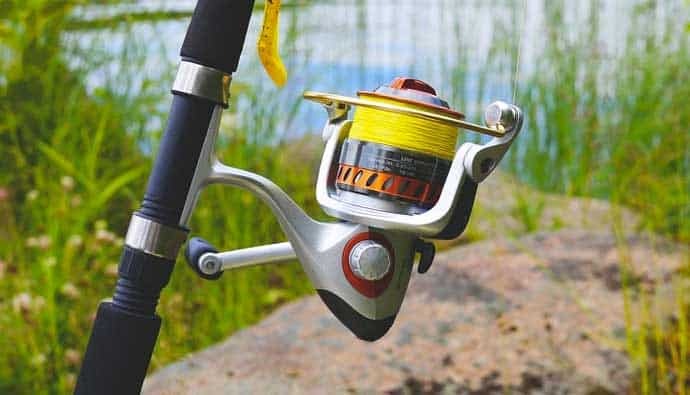 If you’re a recreational angler, you’ll use the same line for at least a week or more likely a few months depending on if you keep the reel out of the sun and rinse it off after each use. Be careful if you’re fishing in water that has salt or sediment as it’ll dry on your line guides and start to abrade your line faster than any fish will wear your line out. Always rinse your whole surf fishing rod and reel with fresh water after each use. If your guides are dirty clean them with a paper towel, your hand, or shirt. At least clean your guides once a week. Braided fishing line is great in areas that have heavy vegetation or areas that need extra strength in the line. What size fish are you going after? What pound line do you want? When in doubt opt for 30lb and figure out if you want to go higher or lower the next time around. What number of strands do you want? Higher if you want more distance casting, lower if you want to fish in vegetation. What color do you want? If you’re on a boat, go high visibility yellow. What’s your price point? If you can, go for the highest quality line as it’s a small price to pay for landing the prize fish and preventing your tackle from being lost. There’s a lot that goes into picking the right line for your reel. I know we’ve covered most of the keys of what to consider, but in case there are any remaining doubts, here’s an easy guide for helping you make your decision. What is the Best Braided Line Test? When in doubt go 30-pound braided line on your 3000 or similar reel. Since braid is thin, this pound braid will mimic the lower strength mono line and help prevent any digging into your reel from heavy fish pressure. You’ll be able to bring in nearly any size fish without your line breaking. Even if you have a huge fish you can just throw your drag out and let them run without having to worry much. If you’re on the kayak, this added thickness will help you get the fish out of the water and into the boat. Get creative in how you attach your braided line. Learn more about topshot, backing with mono, and other combinations. If you have a bigger reel, then go for a 50-pound test. Backfill your reel with 100 yards of mono and throw 300 yards of braid on top. Since braid is expensive, you don’t need to fill your reel with it. You can even topshot with 60% mono and keep your braid down below for when you need it if a fish runs on you. You can even backfill with mono and leave 75 yards topshot of braid since that’s about all that’s going to be used for bringing in most fish. Get creative in your set up! A 50-pound test will enable you to land shark, tuna, king mackerel and whatever else you manage to hook up. Your drag will give out before your line does. Between 30 and 50 pound test for a braided line, you’ll be able to catch just about anything in the water without a second thought. PowerPro has been a big deal in the fishing industry lately and for good reason. Their spectra braided line is super strong and near bulletproof for a great price. Some say that PowerPro is expensive, but most anglers who’ve lost the prize fish know that one area not to skimp on is your line. Having talked with captains of boats they still relive the nightmares that come with getting the big one almost to the boat only to have the cheap line break. Many anglers start with PowerPro, then venture out to test the others but for some reason continually come back to it. If you have the budget, get a bit spool of this stuff and it’ll last you a long time. If PowerPro is outside of your budget, then KastKing is another great choice for braided line. Their line is strong and anglers brag about their ability to tie knots well with the line. 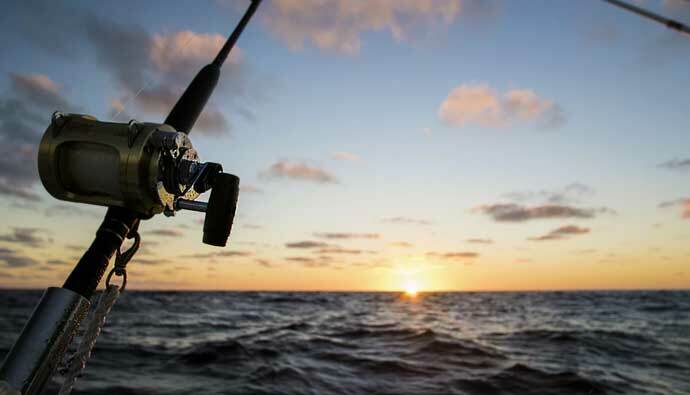 The line has a low memory which helps you cast further and lower the chance of wind knots. If you’re new to braided fishing line and want to try it out before you break the bank, try KastKing. The price is right, the strength is true to the rating, and you’ll get a super smooth cast. If you have the money to spend and want to get the strongest and most abrasion resistant line then you should get Fireline. It has a nice round profile which makes casting a breeze. The crystal is not as clear as fluorocarbon, but it does help make your braid less visible in clear water. You’ll get what a quality braid with Fireline, but don’t expect too much more than the PowerPro. If you’ve used PowerPro and want to try something a bit different and want a bit more casting distance or try a new brand, then give Fireline a test. Q: Who makes the best braided fishing line? A: The best braided fishing line is a subjective answer and it depends on the angler you ask. 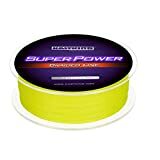 Most anglers I’ve talked to have mentioned PowerPro as their favorite braided fishing line. It’s reasonably priced and holds up nicely. Q: What is braided fishing line? Q: What is the strongest fishing line? A: Braided line is made from High Molecular Polyethylene Fibers (HMPE). These are formed from tiny polyethylene microfilaments that make a carrier, which is combined to make the braided line. It takes nearly 17 days to produce a single braided line spool. Q: What size braid for baitcaster? A: Go heavier test line on baitcasters to prevent issues. Remember, smaller diameter line on spinning and large diameter on casting, it’s just that simple. Therefore, go 20, 30, or 50lb on your baitcaster for the added thickness. Q: What color braided fishing line is best? A: If you’re on a boat go high visibility yellow otherwise go green. Q: What is braided fishing line made of? A: High Molecular Polyethylene Fibers (HMPE). Q: What is the best braided fishing line for spinning reel? A: We like PowerPro Spectra. When in doubt go 30lb test. Q: When to use braided line? A: Use braided fishing line if you want a thinner line for casting far, added sensitivity due to low stretch, and the ability to cut through vegetation due to the rough surface of the line. Q: How to tie braided line to reel? A: Braided line is slippery on metal so make sure you start any reel with mono then tie on your braided line to give it grip. You can also use electrical tape on the metal spool and tie your braid to that for added friction. Q: How long is fishing line good for? A: If you compete, then change the line every day, otherwise for the average person your line will last a few weeks to a few months before needing a change.